These are a just a select few of the hundreds of hospitals, sleep labs, homecare companies and research organizations that write about the benefits that Sleep Strategies provides—in their own words. What they share in common is the uncompromising need for the highest quality of scoring services. Our experience with Sleep Strategies has been excellent. Not only is their quality of work extraordinary, they have been very responsive and provided us a lot of assistance. They have made our experience… cost-effective, fast and improved our overall quality of work. The scoring notes are extremely perceptive and useful. I would recommend Sleep Strategies to any sleep center that wants a high quality, reliable, hassle-free and cost-effective approach to scoring their sleep studies. Our office has had the great pleasure of working with Sleep Strategies for the past few years. Not only are they professional and efficient, but they are very receptive to the needs of our patients and staff. Their customer service is excellent to say the least…beyond our expectations. We are fortunate to have the pleasure of working with Sleep Strategies and we look forward to continuing our working relationship with them in the future. Sleep Strategies provides an important service…. The management has been responsive to any issues or concerns and has made changes immediately based on our needs. They have been proactive in making the transition to the new scoring rules. I would recommend them highly to any sleep program needing timely and accurate scoring. From the first day we spoke with Sleep Strategies they were professional and have performed above our expectations ever since! We consider them a very valuable part of our operations at our center and depend on the accuracy they provide with ease and diligence on every study! Sleep Strategies provides consistently accurate, high-quality and timely scoring at a very reasonable cost. Scoring staff and management are friendly, helpful and eager to meet our needs. I highly recommend Sleep Strategies to any sleep center in need of PSG scoring assistance. 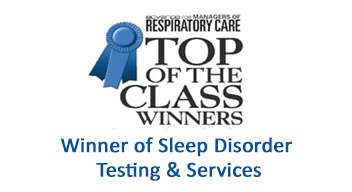 Sleep Strategies has consistently provided rapidly available, high-quality scoring services. Their responsiveness to questions and quality control efforts have been much appreciated. I would recommend them highly. We started using Sleep Strategies because we needed a quicker turnaround time than we could obtain from our technicians in the lab. They have also been extremely helpful in providing on-site education and timely assessment of our current practices in the ever-changing sleep-center environment. Sleep Strategies have become part of our Sleep Center family. Steve Jackson, R.R.T., R, C.P.T. We’ve had the pleasure of working with Sleep Strategies on our sleep-research project. Our project involves an uncommon montage and several technical challenges. We always found Sleep Strategies to be professional, responsive to our needs, and good humored. We have recommended Sleep Strategies to our Sleep Laboratory and I would recommend them without reservation to anyone interested in high quality, on-time scoring. Your company provides fast, accurate scoring. It really sets the standard for polysomnogram scoring. 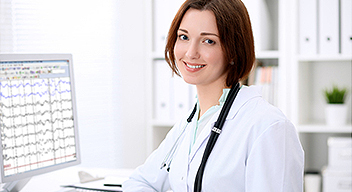 There is not doubt in my mind that the success of our sleep lab was largely due to your assistance and experience. Sleep Strategies consistently exceeds our expectations. Their scoring team is an integral part of our core business; professionalism is paramount and deadlines are always met.